To Get More from Digital, Get Savvy About What Users Really Want. When we understand what today’s digital shoppers like and, perhaps more importantly, what they don’t like, we have very clear marching orders for optimizing the digital experiences we offer. Here’s a brief rundown of the latest insights on digital do’s and don’ts, from the consumer’s perspective. A picture is worth…a lot. According to Advertise World, anything with a photo will receive a full 90% more views than a wall of words. More important than even the product information, description or ratings. As consumers become less interested in reading, and more interested in scanning, images become crucial. Consider the popularity of Pinterest, which is nearly all photos. And, the rising importance of images was striking enough to spur Facebook’s purchase of Instagram – also mostly visual. 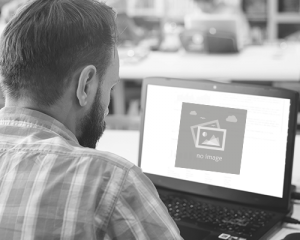 The power of the visual has given rise to new disciplines, including the practice of image optimization and the development of a photo marketing strategy. When it comes to your digital ads and product listings, images are clearly crucial. Who would take the next step in the purchase process if they couldn’t see what they were considering buying? An ad or product listing page without a photo is fairly close to useless. On a related note, generic stock photos don’t hold the same appeal as those you create. A Marketing Experiments study found custom photography converted at a 35% higher rate. Shoppers are smart. They can tell the difference. Pretty images that don’t communicate useful information sound the alarm of disingenuousness. And while custom photography typically costs more than stock, it delivers additional advantages. There is a middle ground. What’s known as “custom stock” photos look less generic, and create a higher-end impression than traditional stock imagery. This relatively new approach could provide the best of both worlds. More than ever, looks matter. Adobe found that an unattractive layout can cause as much as 38% of visitors to click away. The preference for visuals applies to nearly everything – including search results and product pages. This particularly applies to Millennials, 73% of whom prefer something “beautifully designed,” over something simple. (Keep in mind that this is the next generation of car buyers.) It’s important to note that good design doesn’t mean complicated design. When it comes to landing pages and other digital elements, simplicity is important. Good looks and clear communication are the ideal combination. Making it personal makes it work. A customized call to action is more likely to result in an actionable lead than one that’s generic. When HubSpot analyzed 93,000 CTAs, they determined that customized versions converted a whopping 42% better than one-size-fits-all versions. All of which means what you say to a potential customer is just as important as when you say it, and how it looks. Few things are more important than page load time. A Think With Google study found the average mobile website load times for “bounced” sessions were a mere 2.5 seconds slower than for sessions where users stuck around. 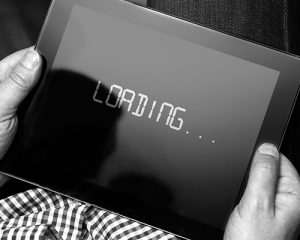 40% of consumers will bail out on a page that takes longer than three seconds to load. And 79% of visitors who don’t like a site’s performance say they’re unlikely to visit again. Shoppers still like to get in touch by phone, and they really like the “click-to-call” button. According to Agendize, 61% of consumers want to talk to you during their research and purchase journey. The click-to-call feature is one of the simplest, most cost-effective ways to encourage a potential customer to get in touch. According to Flight Media, 88% of visitors are more likely to get in touch if you include a click-to-call button. While all of this insight is certainly interesting, it can also feel a bit overwhelming. And, you may be left wondering what you can do to address it all in your own digital offerings. The LotLinx CX product suite offers an extensive range of technology solutions that make it easy to ensure you’re providing the experience that will generate the best results.